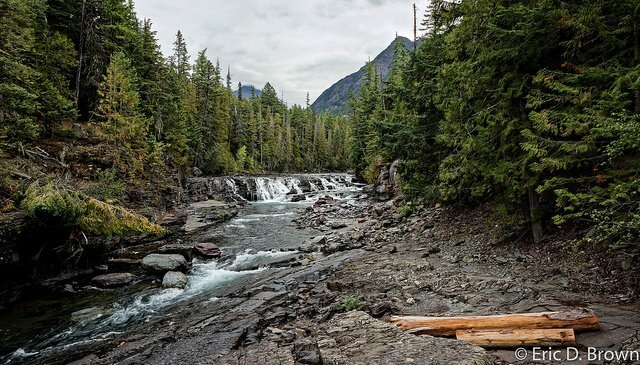 Foto Friday - McDonald Creek, Glacier National Park - Eric D. Brown, D.Sc. This is a capture of a some rapids / waterfalls on McDonald Creek in Glacier National Park. Captured with Canon 7D Mark II and Sigma 8-16mm at 13mm, f/8.0, ISO125 at 1/30 sec handheld.